Please inform Apartments Milas in advance of your expected arrival time. You can use the Special Requests box when booking, or contact the property directly with the contact details provided in your confirmation. 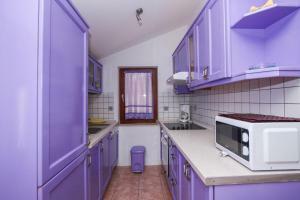 Apartmani Slavica Trogir ~0.1 km, Okrug Gornji price per day from € 139 Please inform Apartments Slavica Trogir in advance of your expected arrival time. You can use the Special Requests box when booking, or contact the property directly with the contact details provided in your confirmation. Apartments Ars Vivendi ~0.1 km, Okrug Gornji price per day from € 80 Situated in a secluded street in Okrug Gornji, just 300 metres from the sea and a 10-minute drive from Trogir, Apartments Ars Vivendi is surrounded with vegetation and presents air-cooled accommodation with a balcony or an outdoors terrace set in a property with a back yard. 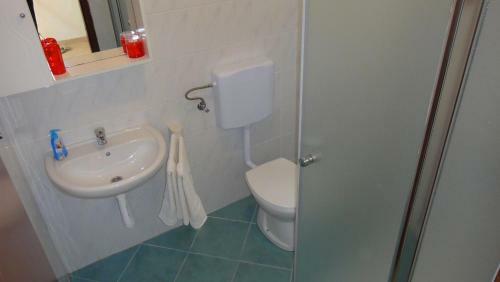 The private toilet comes with a bath or shower and a hairdryer. 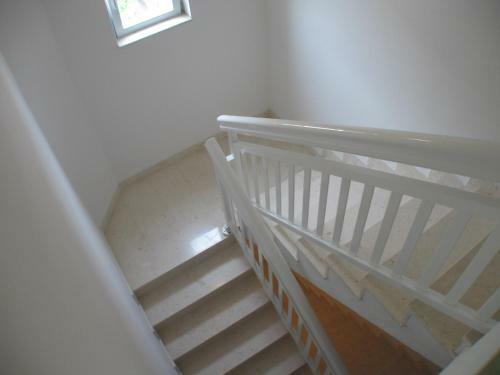 There is also well-equipped kitchen with a microwave and a fridge as well as a dining area in all apartments. Villa Filip ~0.1 km, Okrug Gornji price per day from € 45 Only 200 metres from a beach, Vacation home Filip presents modern apartments with free internet access and free on-site car parking. The property is set in Okrug Gornji, 3.5 km from the centre of the UNESCO-protected city of Trogir. Air conditioning, a fitted kitchen and a seating area with satellite television come with each apartment. The private toilet has a shower and a hairdryer. Most units feature a balcony with sea or back yard views. Dalmatian cuisine as well as a rich selection of wines can be enjoyed in innumerable restaurants and eating places near the property. 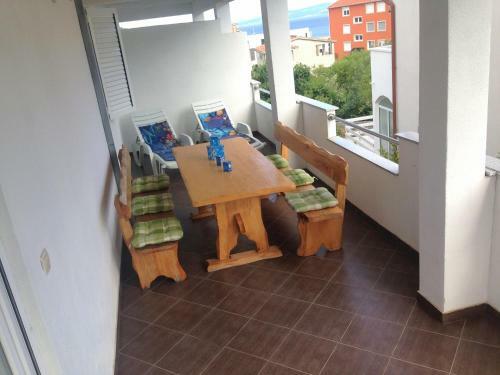 Apartments Patricia ~0,1 km, Okrug Gornji Providing accommodation with air conditioning, Apartments Patricia is located in Okrug Gornji, 14 km from Split. Some units have an outdoors terrace and/or patio with sea or back yard views. Apartments Patricia presents gratis wireless internet throughout the property. Apartments Gavric ~0,1 km, Okrug Gornji price per day from € 60 Featuring air conditioning, Apartments Gavric presents accommodation in Okrug Gornji. Split is 14 km from the property. 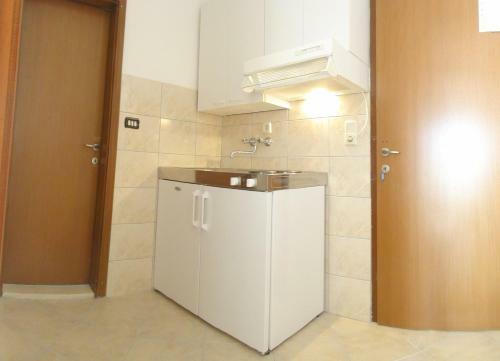 There is also a kitchen, fitted with a microwave and toaster. A fridge and kettle are also available. Apartments Gavric also includes a grill. Hvar is 38 km from Apartments Gavric, while Trogir is 3. The closest flight terminal is Split Airport, 6 km from the property. Apartments Milas ~0.1 km, Okrug Gornji price per day from € 22 Please inform Apartments Milas in advance of your expected arrival time. You can use the Special Requests box when booking, or contact the property directly with the contact details provided in your confirmation. Trogir ( ~ 2.6 km ): 563+ accommodation units. Arbanija ( ~ 2.9 km ): 388+ apartments. Seget Donji ( ~ 3.9 km ): 108+ apartments, 94+ villas, 2+ hotels. Slatine ( ~ 5.3 km ): 251+ accommodation units. Seget Vranjica ( ~ 7.1 km ): 255+ apartments. Vrsine ( ~ 10.5 km ): 8+ villas/holiday houses. Beach Mavarstica, Okrug Gornji ~ 0,3 km from Apartments Milas Sandy beach: ideal for families, recommended for young people. Beach Okrug Gornji, Ciovo ~ 0,7 km from Apartments Milas Sandy beach: ideal for families, recommended for young people, with restaurant, with caffe bar, equipped with showers. Excellent choice of watersports. 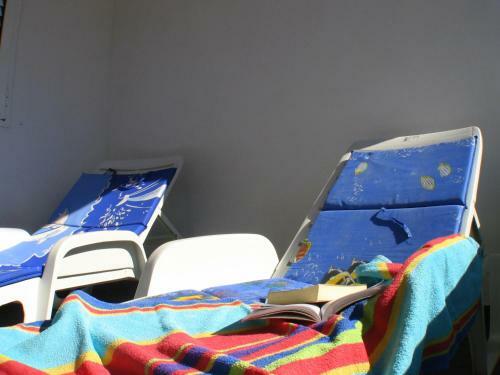 Beach Pantan, Trogir ~ 3 km from Apartments Milas Sandy beach: ideal for families, with caffe bar, equipped with showers. Beach Medena, Seget Donji ~ 4,8 km from Apartments Milas Gravel beach: ideal for families, recommended for young people, with restaurant, with caffe bar. Excellent choice of watersports. Beach Kava, Slatine ~ 8,4 km from Apartments Milas Gravel beach: ideal for families, with restaurant, with caffe bar. Restaurant Sv Dominik, Trogir Guest reviews: 9,2/10 ~ 2,4 km from Apartments Milas Address: Blazenog Augustina Kazotica 1, 21220, Trogir. Cuisine: Croatian cuisine. Restaurant Mediteraneo, Trogir Guest reviews: 8,5/10 ~ 2,3 km from Apartments Milas Address: Ulica Kralja Tomislava 70, Trogir. Cuisine: Croatian cuisine. 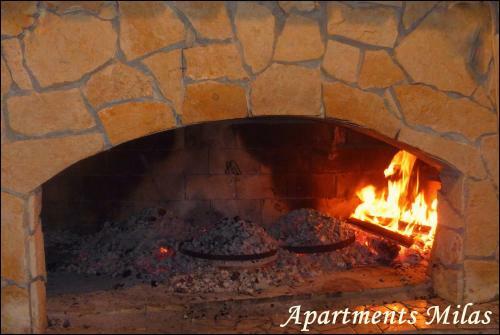 Restaurant Kristian Pizza, Trogir Guest reviews: 9,1/10 ~ 2,4 km from Apartments Milas Address: Bl. Augustina Kazotica 6a, Trogir. Cuisine: Pizza. Restaurant Piccolo Ponte, Trogir Guest reviews: 10/10 ~ 2,4 km from Apartments Milas Address: Vukovarska 9, 21220, Trogir. Cuisine: Pizza & Pasta, Grill. Restaurant Kamerlengo, Trogir Guest reviews: 7,6/10 ~ 2,4 km from Apartments Milas Address: Vukovarska 2, 21220, Trogir. Prices: 6 HRK - 6 HRK. Cuisine: Croatian cuisine.